Lyman and Hawk star Off-Off Broadway in Lyman’s play, In the Bleak Midwinter Through September 23rd only! 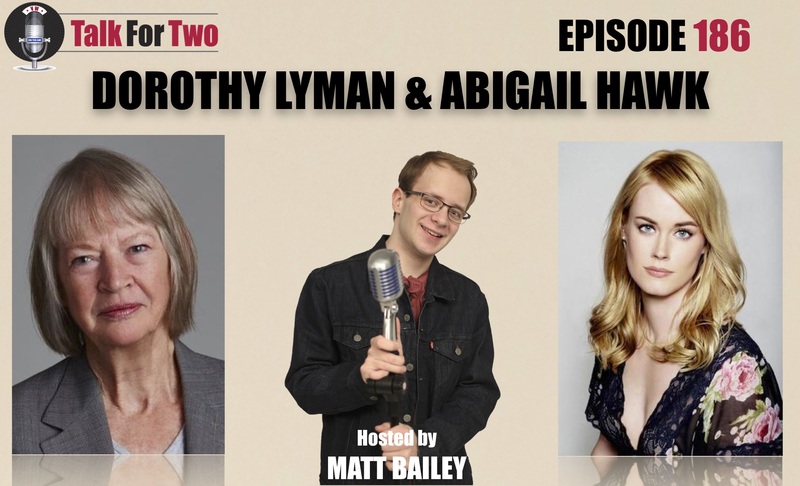 Today, on an in-person edition of Talk For Two, I sit down with two television icons: Blue Bloods star Abigail Hawk, and Dorothy Lyman, known for her 2x-Emmy-winning role on All My Children, and the sitcoms The Nanny and Mama’s Family. Lyman wrote In the Bleak Midwinter about an aging farmer’s widow named Elizabeth (Lyman) who has taken to looking after the farm since her husband’s passing. The woman’s daughter, Betsy (Hawk), comes to visit and is concerned keeping up the upstate-New York ‘outfit’ is becoming too much for her mother. Along with a cast of well-meaning family members, the play confronts what must happen when the family homestead becomes a shell of an aging parent’s former life. It confronts the questions pondered by daughters, sons-in-law, and even grandchildren—as well as who has the right to ask them out loud. One of the best plays of the year, I truly believe this Midwinter is a hidden gem that deserves a life in cities and rural towns across America. It puts into words a small slice of life that is inherently dramatic for the family unit. And while it looks at one specific family, its themes are stunningly universal. In this interview, Lyman and Hawk open up about their struggles confronting the realities of aging parents, as well as what this play has taught them about having positive dialogues with their families about those exact uncertain futures. Ms. Hawk tells how this has helped her cope with inevitable conversations to come with parents and in-laws, and Ms. Lyman recalls the hurt she felt leaving her mother in a skilled care community. In addition to discussing what encouraged this play, Ms. Lyman also tells light-hearted stories of her time working with Fran Drescher and Vicki Lawrence on The Nanny and Mama’s Family, respectively. And Ms. Hawk delves into her turn as Detective Baker on Blue Bloods, and reveals what fans can expect when the new season premieres on CBS September 28th. In the Bleak Midwinter runs at Shetler Studios through September 23rd. Tickets can be purchased at StuffedOliveInc.com.